ADVOCACY WORKS! On May 12, 2017, the Fairfax County Special Education PTA (SEPTA) notified our members and supporters that School Board Member Thomas Wilson (Sully District) referenced the special education budget at the May 1 School Board budget work session. SEPTA also provided the link to the public-record, video recording of the meeting for our members to view. The SEPTA Executive Board thanks each individual who took the time to call or write members of the Fairfax County School Board. Almost immediately after the SEPTA’s related Call to Action went live, we heard from several School Board members confirming that while there have been some necessary cuts to all departments, including the Department of Special Services, the board was able to avoid making cuts directly to the Special Education Budget this budget cycle. 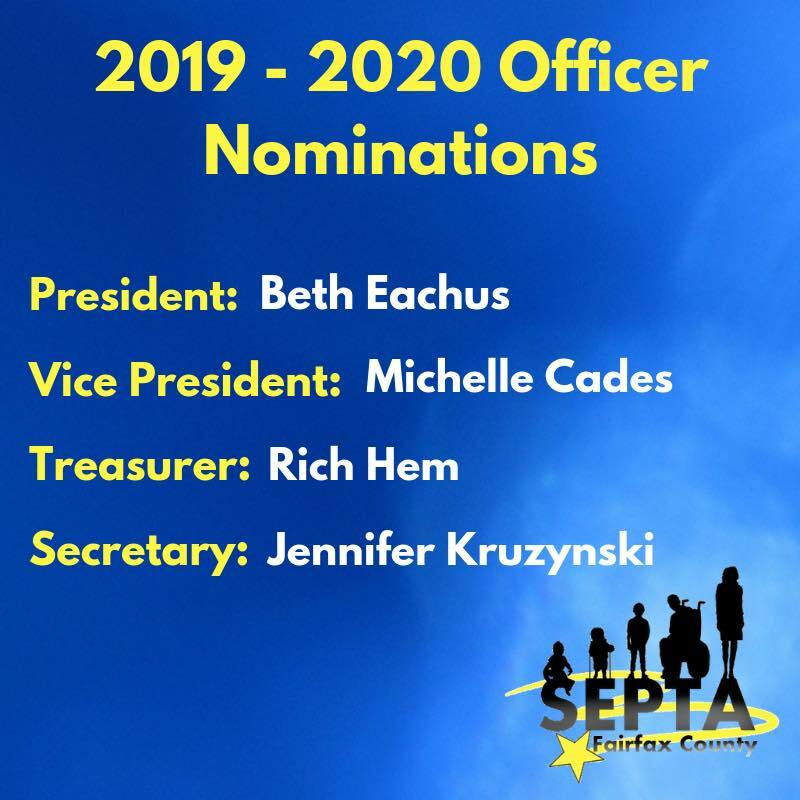 Several Board Members expressed their appreciation for SEPTA being involved and organized and encouraged us to continue to stay vocal about special education needs as we enter into the next budget cycle, for which the 2019 Budget Task Force will be convened in several weeks. SEPTA explained in informal discussions with those members, and in Lindsay Latham’s formal remarks at the May 17 School Board Budget Hearing, that our organization will continue to monitor budget deliberations and to notify our members when special education is mentioned in those discussions. We shared our view that it is our duty to notify our members and supporters of any comments about special education in Fairfax County, especially when those comments arguably preview things to come for special education after the FY 2018 budget cycle is completed. Please know that any views shared by SEPTA have been critically examined and fact checked. We are happy to report that after the May 17 School Board Budget Hearing, Mr. Wilson stayed late to discuss SEPTA’s Call to Action, listened to our concerns, and reassured us that he fully supports special education students. Mr. Wilson even asked for one of the SEPTA stickers that members wore in support of the volunteers who explained the importance of special education funding at the May 17 hearing. In addition to Mr. Wilson, the following School Board members stayed after the May 17 meeting to discuss special education funding with SEPTA leaders and members: Elizabeth Schultz (Springfield District), Dalia Palchik (Providence District), and Pat Hynes (Hunter Mill District). The SEPTA Executive Board appreciates the support of its members and the response of Fairfax County School Board members. If you made calls or sent emails after SEPTA posted its Call to Action, please follow up with the School Board members you contacted to thank them for their service. Even if you did not call or send emails, we ask that you thank those members who stayed after the May 17 hearing to meet with SEPTA representatives. Based on our discussion with our members, FCPS administrators, and School Board members, we understand that there are differing views on what constitutes a cut to special education funding. While we cannot change how FCPS characterizes its budget reductions, the SEPTA Executive Board believes that any budget reduction impacting students with disabilities constitutes a reduction to special education services in our county. We accordingly note that a $0.3 million budget reduction and associated impacts to central support provided to the Department of Special Services, under which Special Education resides, was identified in a school board document posted May 15, 2017, and is under consideration for FY 2018. Reduced materials and supplies impacting the ability to support schools with unanticipated special education program needs. Decreased hourly support and other operating expenditures impacting the ability to provide short-term substitutes to schools experiencing students in crises. This reduction could increase referrals for private school placement. Reduced printing services eliminating the capacity to print materials for parents who are unable to access electronic versions of the state special education parent handbook and special education parent surveys. Individual schools will have to print these materials for families upon request. Reduced consultation and support to new special education teachers, which helps them with assessments, planning, diversifying and adapting instruction and behavior management. SEPTA representatives, including Diane Cooper Gould and Toby Latham, identified these cuts and their potential impacts as sources of concern during the May 17 budget hearing. The video link with those testimonies along with all other Budget testimonies is available here. Thank you to all SEPTA members who made testimonies on behalf of Special Education: Laura Sizemore, Lindsay Latham, Caroline Kenney, Rachna Heizer, Kathy Adams, POAC NOVA, Sonja Aoun, Amanda Campbell. The FY 2018 budget process is almost over and SEPTA leaders have learned a lot about the process in a very short period. We look forward to participating in discussions about the FY 2019 budget, continuing to establish positive relationships with School Board members and FCPS administrators, and serving our members and community.